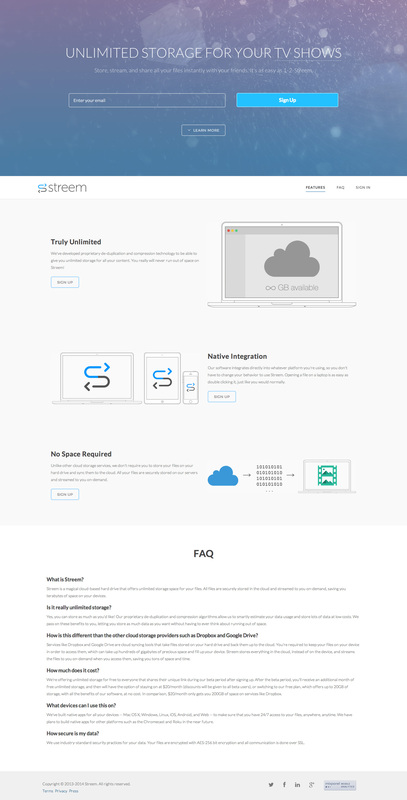 Responsive launching soon page for upcoming data storage startup, Streem. Seems we’re looking at free during BETA and then $20/month for unlimited storage to take on the big dogs like Dropbox. Store, stream, and share all your files instantly with your friends. It's as easy as 1-2-Streem.